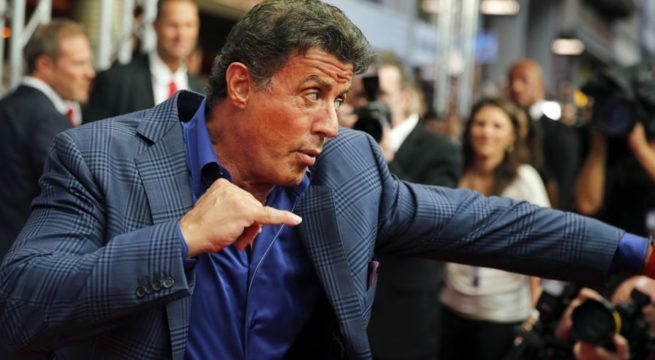 SYLVESTER Stallone joked with fans that it was “great to be back from the dead” after false rumours about his death swept the internet. The Rocky star took to Instagram to prove he was still alive and shared a light-hearted video of himself messing around with his daughters Sophia, 21, and 19-year-old Sistine. The clip showed the 71-year-old’s two girls running around as it hailed outside before turned the camera on himself and said: “That’ll teach ’em”. Earlier, the actor told fans to “ignore this stupidity” and confirmed he is “alive and well” after the bizarre hoax swept the internet.